This car really deserves something better than a few quick shots indoors under bad lighting, but it’s worth a look, all the same. 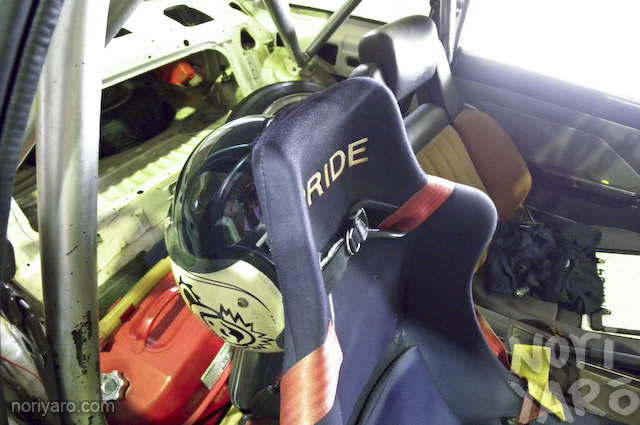 This rather neat AE86 belongs to a guy who goes by the nickname “Asayan”. Asayan works at a body shop in Osaka called “Looking”, who are well known for their extremely stylish paintjobs. Not only that, Looking are obsessed with drifting as well, and run several “HitomiGo” events a year at Meihan Circuit, named after Hitomi, the other half of Looking. 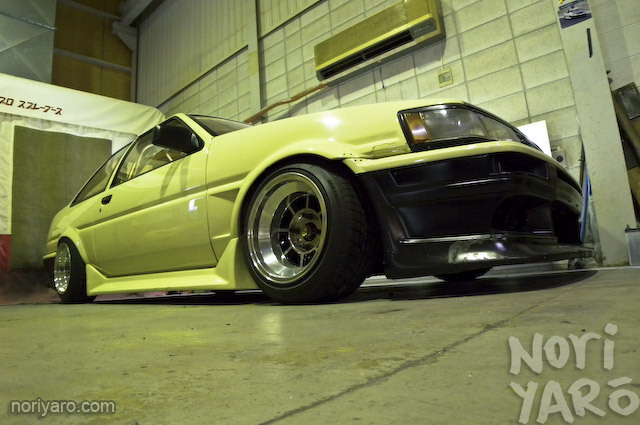 This particular style small-wheel of AE86 is rapidly dying out in the Japanese drifting scene, with most people preferring larger 15-inch wheels. The upside of running 185/60 14 tyres, like Asayan does, is that the car can sit a lot lower to the ground and still be functional. 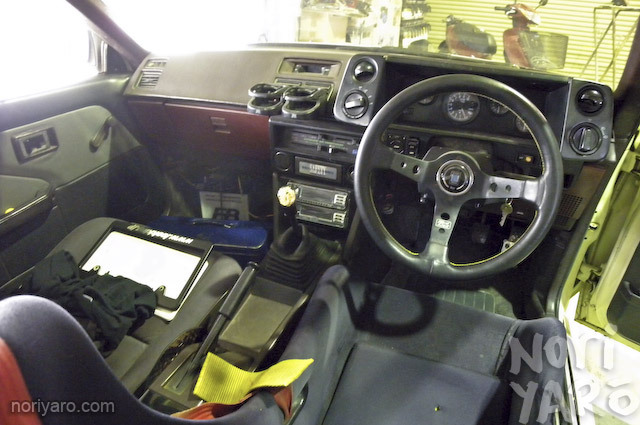 The car isn’t registered, but it still has a complete interior. That’s a neat way to mount a helmet. See if you can spot the cameraman. The engine bay is pretty old-school as well. 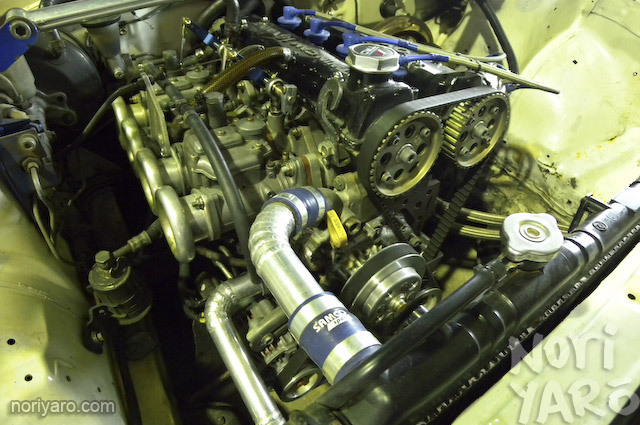 AE92 kouki with…I think they’re Solex carbs? One other thing Looking are known for are their LED light conversions, and some of their custom show-car pieces are ridiculously elaborate. 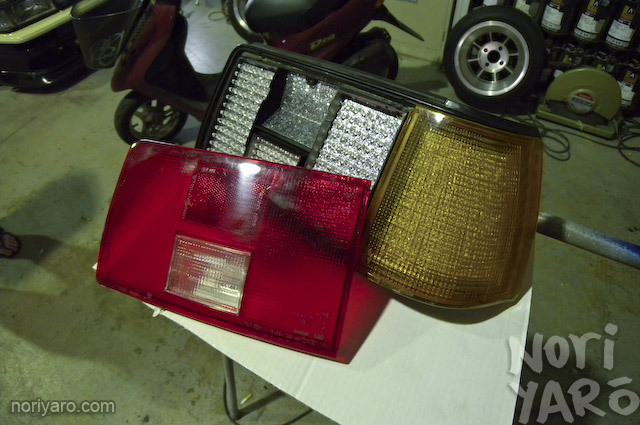 This AE86 brake-light conversion is a bit more straight forward. The LEDs are backed with holographic vinyl to further diffuse the light. 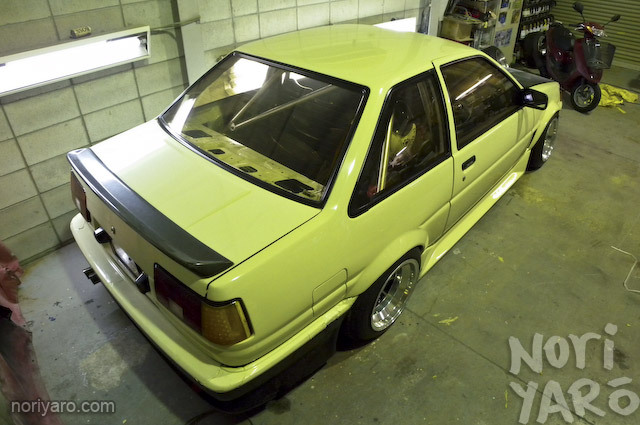 After taking a look around the workshop, I think we found the source of Asayan’s inspiration for the colour scheme of his AE86. I know I’ll be seeing some more of this car very soon, so look forward to some action shots. Asayan is the boss of all of them since 1992. I swear I’ve seen a Levin just like that in an old origin drift vid..
i dig it, a lot. Definitely look a lot similar to my Mikuni Solex’s so I would say you’re bang-on. This clip is something I made for Looking’s Tokyo Autosalon incar, it was really rushed with jerky camerawork and other stuff so I don’t really think it is that good, but it has some of this car in it. http://www.vimeo.com/2956769 I am sorting through all my old video so there will be a better Asayan-San video out in the near future. 7M says: I swear I’ve seen a Levin just like that in an old origin drift vid.. There are two very similar cars but that was probably his. I remember seeing that levin in the same origin video 7M mentioned. I think Takatori, Bai, and Kuroi were in there too. Laurence thats a nice video. A bit long, as you warned in the description, but interesting. I think I’ve seen a picture of one of those FDs but it was green.. maybe just a different car. Do Stageas come standard with twin sun roofs? I changed the post title, because yours was better. Yeah, I didn’t have my good camera with me, and that cream colour will always look bad under artificial light. That would have probably been him since Looking is in Osaka. There’s another similar looking hatch that belongs to a customer. just re-visiting the “article”: beautiful car. solex/mikuni 40/44PHH carbs. you’re on the money. 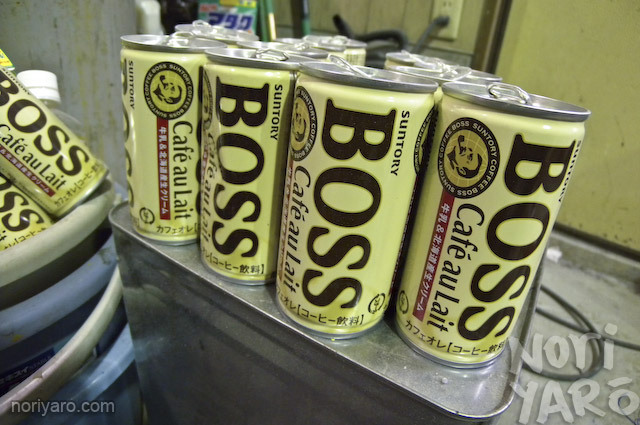 BOSS coffee in-a-can is one of my faves. the predecessor to starbucks’ frappuccino. I wanna know the wheel specs also. Anyone?